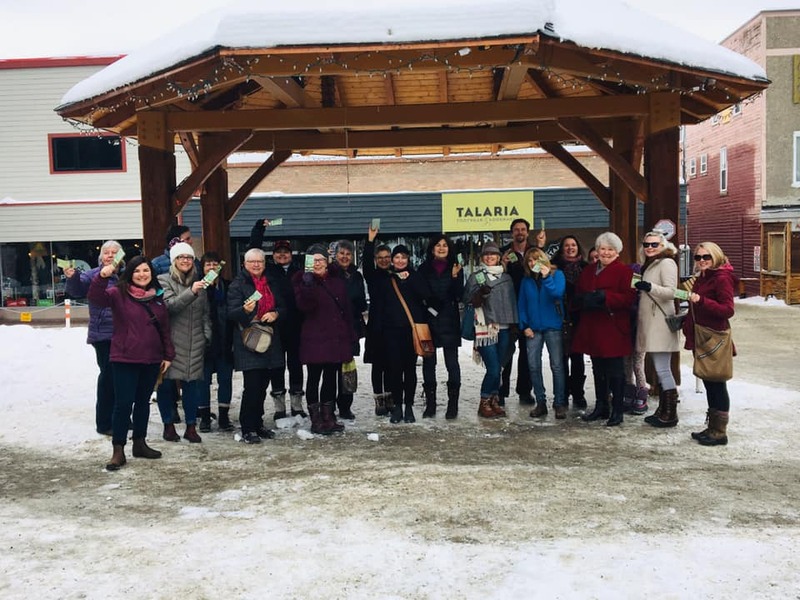 CASH MOB KIMBERLEY: Follow them on FACEBOOK to keep up-to-date for future Cash Mob’s - for example, the next Cash Mob is happening Saturday April 11th! WHAT IS THE ‘CASH MOB KIMBERLEY’ ORIGIN STORY? The Kimberley Cash Mob idea originated with the premise that supporting local and independent business just feels good. Our intention is to celebrate what makes Kimberley so great- the people who live here! We wanted to incorporate a reason to bring people together, support a business that adds to our sense of community and to top it off, have fun doing it! We’ve researched the positive effects that Cash Mobs have had around the world and it’s really positive. IF YOU COULD ONLY USE 5 WORDS TO DESCRIBE ‘CASH MOB KIMBERLEY’ (AND FOR THE SAKE OF THIS QUESTION, LET'S ASSUME YOU CAN ONLY USE 5 WORDS) WHAT WOULD THOSE WORDS BE? 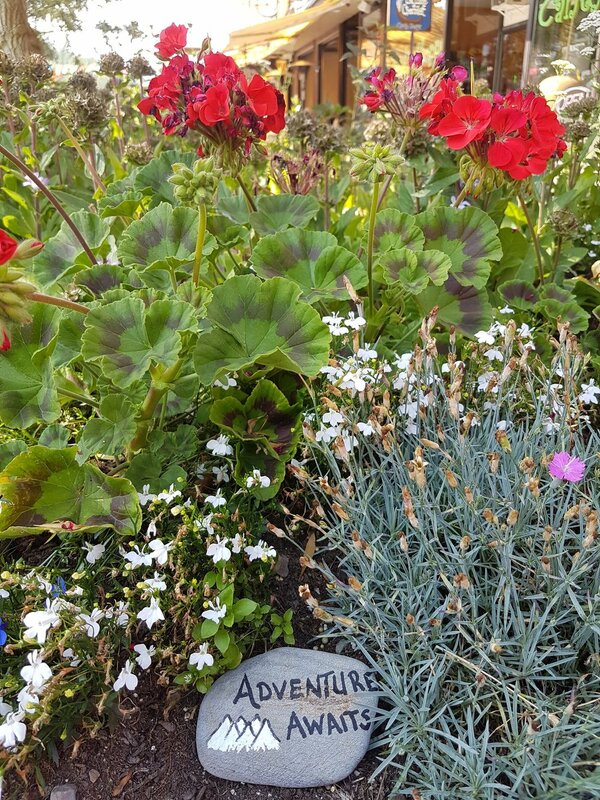 Cash Mob Kimberley will take you on an adventure where you commit to spending $20 at a mystery location. We show up at the Platzl Gazebo and head off to the unknown. Cash Mobs encourage community members to support a local business, help businesses create new customers and unite communities. Cash Mob Kimberley will showcase local businesses in our community with a FLASH boost of sales, visibility, and excitement! Mobsters have fun, meet new people, and spend $20 on products they want while building the local economy. The shopping location is TOP SECRET until the event! We encourage all shoppers to bring their 20$ in cash, as we hope to get some fun cash mob photos showcasing the cash we're supporting our community with! Cash Mob Kimberley is a way for community members to come together in a unique way to shop local. Our fantastic little community has so many incredible entrepreneurs and we want to show them some love. During each cash mob event, the local business may offer special deals, gifts with purchase, door prizes or other promotional incentive. An "Aftermob" will take place following the shopping event for anyone interested in further camaraderie! Be sure to follow Cash Mob Kimberley on Facebook to stay up to date on upcoming events! Actually, on 3rd thought… I believe a wise one once said "a picture is worth 1000 words" so how about you share 3-5 pictures (that's like 3000-5000 words) that you think best capture the essence of ‘CASH MOB KIMBERLEY’. PS - follow CASH MOB KIMBERLEY on the Facebook for more! FINALLY… WHAT IS YOUR FAVOURITE THING/S ABOUT RUNNING something like ‘CASH MOB KIMBERLEY’ around Highway 95 eh? Getting the opportunity to support our amazing local businesses, while building community, and have fun doing it! ALRIGHT, THAT'S ALL THE Q'S AND A'S FOR THIS Introductions Q&A. 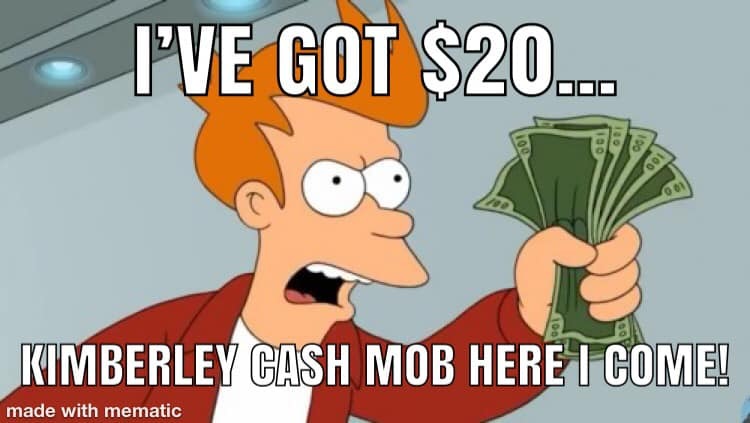 Make sure to follow CASH MOB KIMBERLEY on the Facebook… and most important of all: make sure you get those 20 dolla billz ready in your pockets for the next cash mob (April 11th, 7pm at the Platzl Gazebo to be exact).